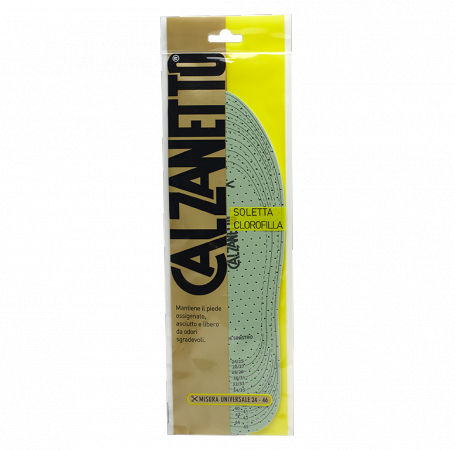 Ideal insole for keeping the foot oxygenated, dry and free from unpleasant odours. Universal size from 36 to 46. The perforated latex foam makes it possible, along with the chlorophyll, to keep the foot oxygenated, dry and free from unpleasant odours.